Are you one of those Yakuza fans that spent hours in the games singing karaoke because you loved the songs and Kiryū’s smooth voice? Are you left with the feeling of wanting more? 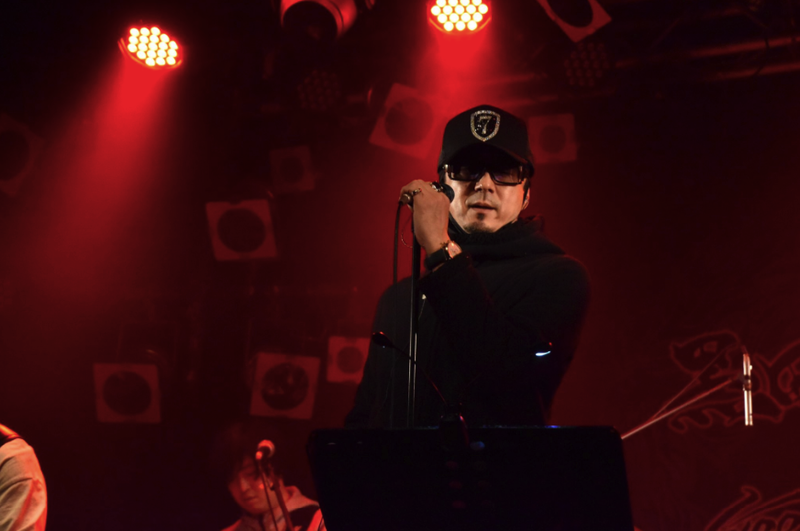 Then maybe you’ll be happy to hear that his voice actor Takaya Kuroda actually has a band called 黒田崇矢 & Goodfellas (Kuroda Takaya & Goodfellas)… and that band is on the rise to becoming something great! I got the opportunity to attend their ‘Black Christmas’ event, and it’s an experience I just had to share with everyone. 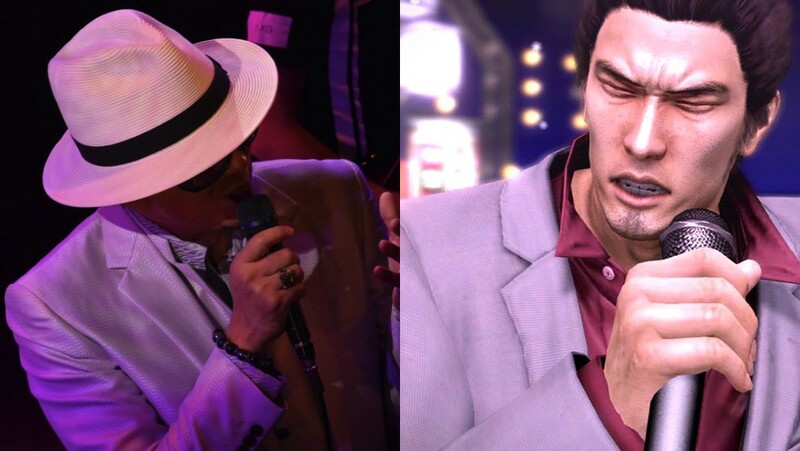 To many Western fans, singing karaoke with Kiryū has become a staple of the Yakuza games (also known in Japan as Ryū ga Gotoku) and something that made gamers fall in love with the character. Along with great music, Kiryū’s bass voice is unique and iconic, making him memorable even if you don’t understand Japanese. This is all thanks to a very experienced voice actor who took the chance to continue his music career in order to one day be able to perform in front of, not only Japanese fans but supporters from all over the world. To fans in the West, Takaya Kuroda is best known for the unmistakable voice of Kiryū. But here in Japan, however, he has managed to branch out into more than one category. He‘s been acting in movies & tv-shows, he created his own podcasts (including being a part of one about Yakuza) and wrote a very successful blog. All in all, he’s voiced over 100 characters… and he’s still pushing the limits to try new things every year. One of those things and something that is very personal to him is his band. In the interview that IGDB did with him (that you will be able to see soon) he stated that he didn’t really think he’d become a singer, nor did he ever take any singing lessons. It just happened one day when he and another member got together and decided that it would be interesting to go down the path of music. It’s also a very unusual thing to debut as an artist when you’re 50 years old, so he wanted to challenge himself and see what would happen. Kuroda is a big fan of Robert De Niro and has always loved the movie Godfather. That’s what inspired his sense of style and attire. He also wanted to continue on that theme when deciding the band name. Goodfellas to him is his own group of people, his own equals and together they create rock music for adults. He is a man who has been in show business for over 35 years. With a strong mentality and a positive worldview, he has overcome many difficulties in his life, using that experience to write emotional and powerful lyrics. Seitalow, Yosuke, Okitomo, Azusa and Takaya K.
Okitomo Ito (from Nagoya) has been a guitarist since he was 18 years old, playing in bands like『 D‘soul creation（ex.SARUBB）』and 『snack powder boys』. He earned an award for his skills as a guitarist and is known to be a very positive person. He mixes band events with his own solo shows, enjoying playing with various artists. When Okitomo isn’t doing band activities, he works as a session guitarist, loving music beyond anything else. Yosuke Takahashi has been an artist for many years, participating in bands from both major and indie labels. His guitar sound can be heard in over 100 songs and he also has experience from famous tv-and music shows. Even though he is talented with rock music, Yosuke has a great reputation for being skilled in acoustic performances. While in university, Azusa fell in love with film music and music production, deciding to take a leap of faith into that world. He’s been writing music for various CM’s and video games, known for giving different genres a try. In 2015, Azusa created the background music for the anime show ‘Etotama’. Nowadays he puts all his effort into creating things that he loves and cares about. Seitalow started his music career by playing the piano when he was just a child. Majoring in classical music and Jazz trumpet, he also started to play the drums in various band sessions. As a university student, he took part in music creation for things like CM’s, musicals and bridal music. With classical music as his strongest suit, he decided to try other genres such as rock and R&B, having a broad repertoire to lean on. That is something that he is greatly appreciated for. The band combines various skills and passions to create their own unique sound. Most of you have probably been to a concert before so I’m not gonna go into crazy details about it. Instead, here’s my top 10 best moments from the event that really made me go “aw, that’s awesome!”. 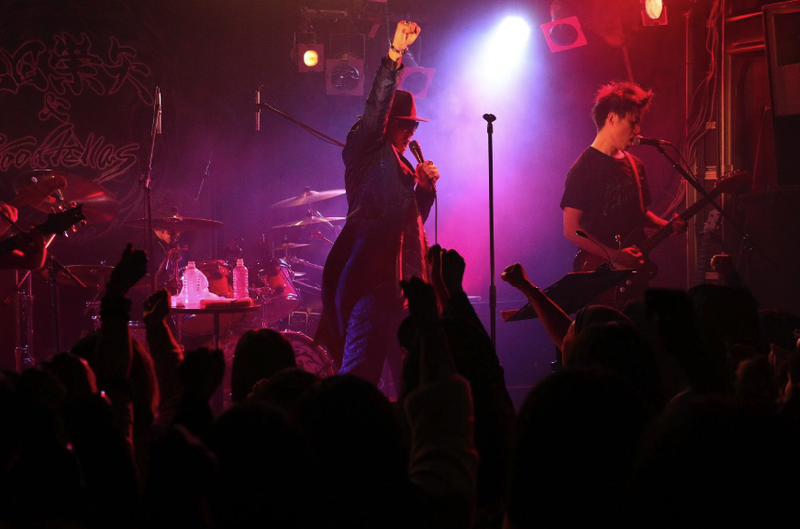 The concert took place near Kabukicho in Shinjuku. Because of Yakuza, that place means a lot to Kuroda. If you didn’t know, Kamurocho is basically Kabukicho with a fake name! A lot of spots from especially Yakuza 6 are still there today. During the live, the band asked everyone that’s wasn’t from Japan to raise their hands. This time we were 4 foreigners, 2 from Sweden and 2 from Asia. The fans seemed impressed that we had come all this way! Kuroda told us that their band was really the “Japanese Mafia” and that the livehouse was their headquarter. Classic! During their ever first concert, the band focused solely on their own songs. They soon found however that the fans wanted to hear songs from the Yakuza games. Now they do 2 songs every time, with one always being Kiryū’s staple song, Baka Mitai! Something that Kuroda knows how to do well is storytelling. He always has something to say about his day or events that happened recently. One of the stories that he told was about a young boy that he met in a convenient store. He was waiting for the cashier to get his cigarettes when he saw this kid paying for candy. The kid didn’t have enough money and got really sad, something that hit Kuroda right in the feels. He was contemplating on buying the kid the candy that he couldn’t afford, but he managed to leave before the cashier came back. In the end, he didn’t go after the young boy because he was afraid that it would look weird that a grown man with glasses and a hat was chasing down someone so young! Haha! The heart was certainly in the right place though, Kuroda-san! The band had a competition with everyone in the audience where you could win an autograph. Everyone played Jan-Ken-Pon aka Rock-Paper-Scissors until one person remained. It was a lot of fun to do something like that together as a crowd. As a wrote earlier, Kuroda sure knows how to be stylish. The second outfit that he wore for the concert (a blue suit) was created by his friend who is the owner of a brand called God of Roses. If you’re interested in seeing what kind of fashion Kuroda likes, you should definitely check out their shop! They had a fun encore with the last song being Kanarazu Keshiki Ha Kawaru that seems to be one of their most successful songs. Because of the interview with IGDB, I was invited backstage after the concert. I was slightly surprised to see how small it was. Behind the “crew door” was a small space where all the instruments were stored. Then on the side was a tiny staircase that led down to a dressing room that they all had to share. With the crew, they were 7–8 people! I got a few minutes to talk to Kuroda before everyone had to leave. He is a very selfless and caring person, asking if his performance was good enough and if our feet were doing okay after standing for two hours. Someone who looks like a member of the mafia sure has a heart of gold. I went there expecting to love the Yakuza fanservice but walked out as a genuine fan of their music. I honestly can’t wait to see them again and I hope that we can get the band out of Japan to see the world that they cherish so much! In Japan, Takaya Kuroda has a solid fanbase who follows him wherever he goes, supporting every project. At least 95% of the fans in Asia are females with a few male fans here and there. The Asian fans are also fans for various reasons. In the West, most of the fans are male and gamers. His fans are extremely passionate with some of them supporting him for over 20+ years. Kuroda and the band are loved for being different, for creating a different sound for “adults” and going their own way without asking for permission. As a foreign fan, I was slightly worried about how the fans would react when seeing me. Turns out they were all very happy to have supporters from outside Japan going to the concert. I even ended up being a part of this “family” and was invited to the next concert as well. During the Christmas event, they announced an upcoming release of a full album that will include earlier released songs together with completely new material and never before heard tunes. They also talked about their ever first tour to Nagoya, Osaka, and Tokyo that will start on May 2019. The band would love to try their wings and perform a mix of their own music along with songs from the Yakuza games outside of Japan. 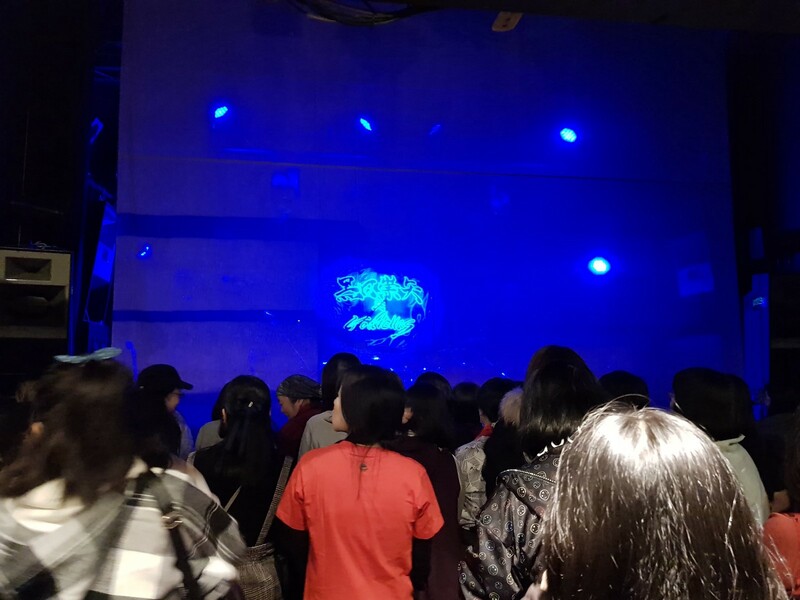 However, due to a language barrier as well as the uncertainty of how many fans they have in other countries, they’re still a bit hesitant about where to start. That’s why I wrote this article in order to help them. Maybe we can work together to show Kuroda Takaya & Goodfellas that fans in the West are waiting for a tour to happen! The official music video for the song “Kanarazu Keshiki Ha Kawaru”. 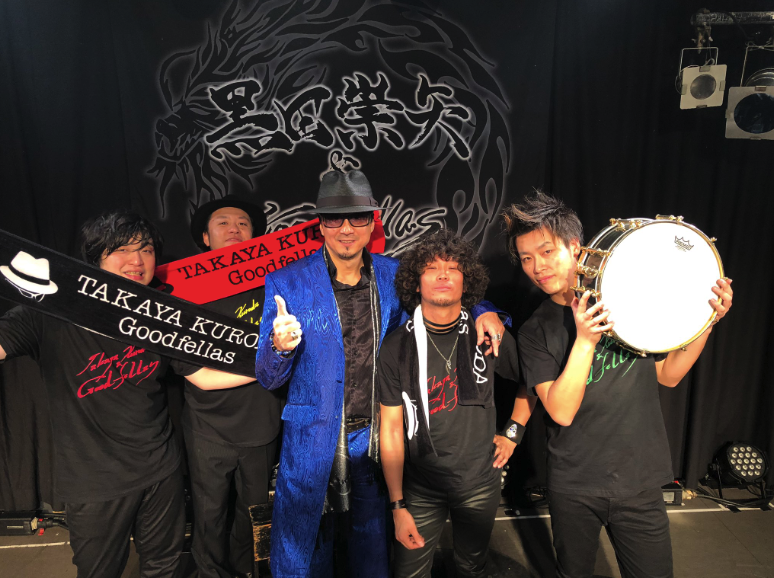 After meeting Takaya Kuroda and learning about the fact that he would love to travel more and perform in other countries, I decided not only to write this article but also ask fans for their opinion and feedback about the band. I wrote three questions in Japanese and asked the fans to help me. In the graphic down below, you’ll find answers from some of the many fans. Most of them are Japanese, with a few fans from other places as well. Maybe their love and support for Kuroda Takaya & Goodfellas will make you want to give them a chance as well! Wanna know more about the Yakuza games? 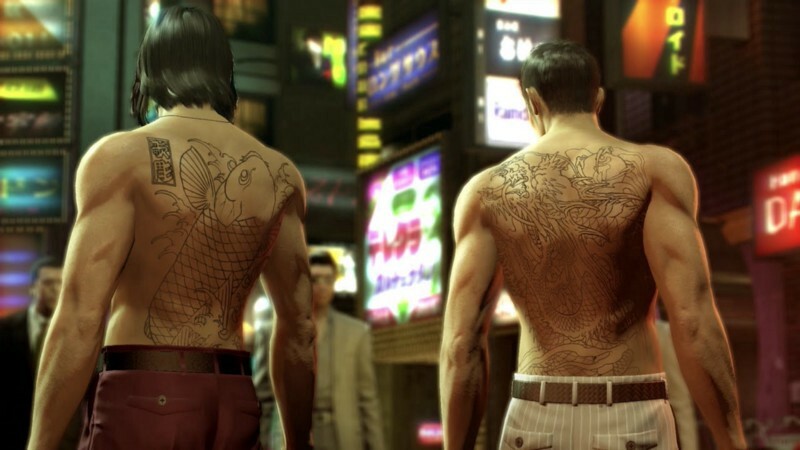 IGDB recently released a lengthy but spoiler-free guide to the world of Yakuza. Click here to read it!